The Belgian branch of multinational banking and financial services corporation ING is launching a new fintech accelerator dubbed FinTech Village. Applications are currently open; the program kicks off in March 2016. Meet FinTech Village, a new Brussels-based accelerator for fintech startups from Europe and beyond, established by ING Belgium with several major partners including SWIFT Innotribe, IBM, and Deloitte. Fintech, or financial technology, is a broad industry and the accelerator is looking for startups tackling issues like secure banking, online and mobile payments, predictive analytics, and operations management. The four-month programme will provide successful applicants with an opportunity to hone their startups through intensive mentorships with senior banking and financial professionals to bring their ideas from proof-of-concept stage to market-ready. The accelerator will help startups in their go-to-market by providing access to the global network of ING and its partners. Deloitte mentors will offer coaching to startups on everything from security to growth hacking. Also, startups that make it to FinTech Village will be entered into the IBM Global Entrepreneur Program for Startups along with IBM cloud credits to build their businesses on the IBM cloud. No startup that is accepted to the accelerator is obliged to accept funding from any of the partners that provided assistance throughout the program. 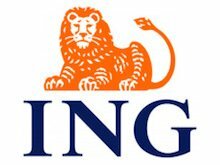 ING has been committed to developing the fintech industry in Belgium and across Europe, having previously invested €7.5 million in SmartFin Capital. Several partnerships with fintech companies or initiatives have been announced recently, including Kabbage, Seedrs and R3. The accelerator will be housed in Brussels on Eggsplore’s premises, a new FinTech hub that will combine startups, investors, co-working space and more. Eggsplore is ideally located close to ING Belgium’s headquarters, the airport and less than 20 minutes away from key players in the local ecosystem such as SWIFT, MasterCard Europe, and Euroclear. Applications are currently open until December 6 with the program kicking off in March.